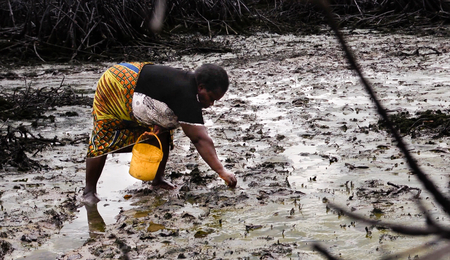 Court documents revealed by Amnesty International today expose the fact that Shell has repeatedly made false claims about the size and impact of two major oil spills at Bodo in Nigeria in an attempt to minimize its compensation payments. The documents also show that Shell has known for years that its pipelines in the Niger Delta were old and faulty. The video reportage prepared by Amnesty explains the investigation and shows the negative consequences to Nigeria’s inhabitants and their food supply. Further potential repercussions are that hundreds of thousands of people may have been denied or underpaid compensation based on similar underestimates of other spills. The irrefutable evidence that Shell underestimated the Bodo spills emerged in a UK legal action brought by 15,000 people whose livelihoods were devastated by oil pollution in 2008. The court action has forced Shell to finally admit the company has underplayed the true magnitude of at least two spills and the extent of damage caused.